6, good autohension and high retraction, packing the cargo to a body and preventing the cargo damage at the same time. 1, more than 10 years experience in production. 2, well-known products: Shandong Famous Brand. 4, Excellent quality and Competitive price, OEM is available. 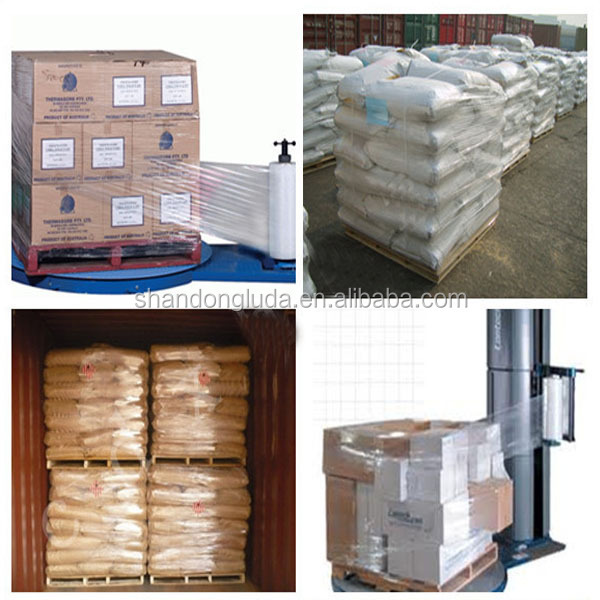 5, Stable supply: an extensive range of stock. 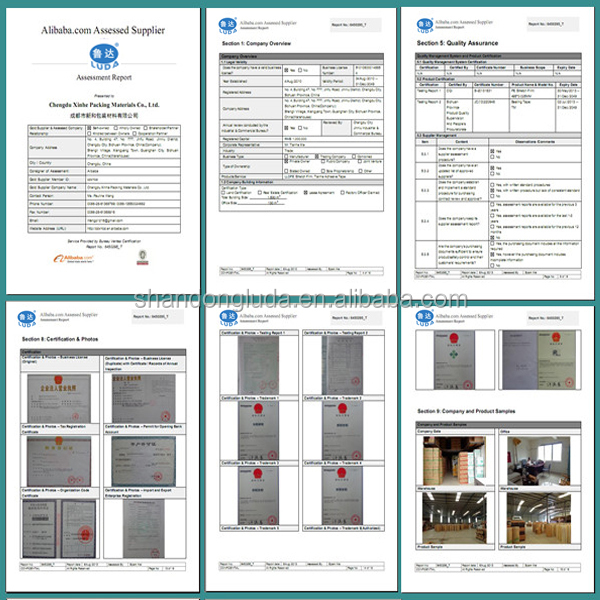 6, The whole process from material to end products is under supervision. 1, Your inquiry will be replied within 24 hours and online service is available all the time. 4, Flexible payment terms: T/T, L/C, O/A, Western Union, Paypal, Escrow, etc. 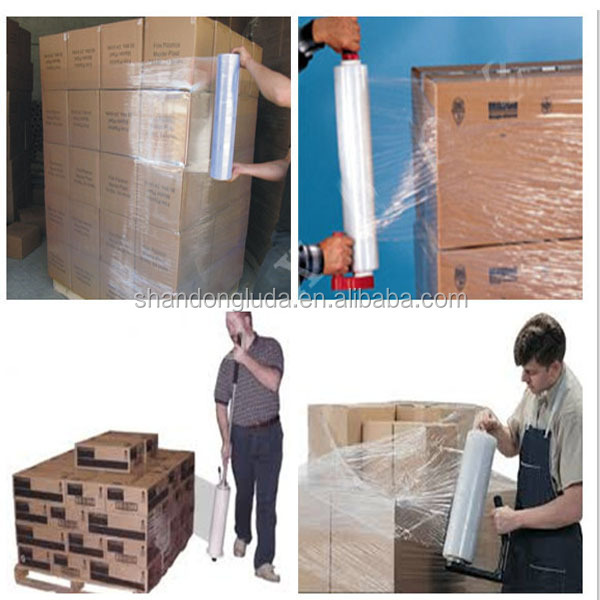 1, Q: How will you pack the product? 2, Q: How many rolls can be full fitted into one container, such as 20FT, 40FT? A: The details are in the above forms. If your specification is different, you need to tell us the size of the carton, and then we will calculate for you accordingly. 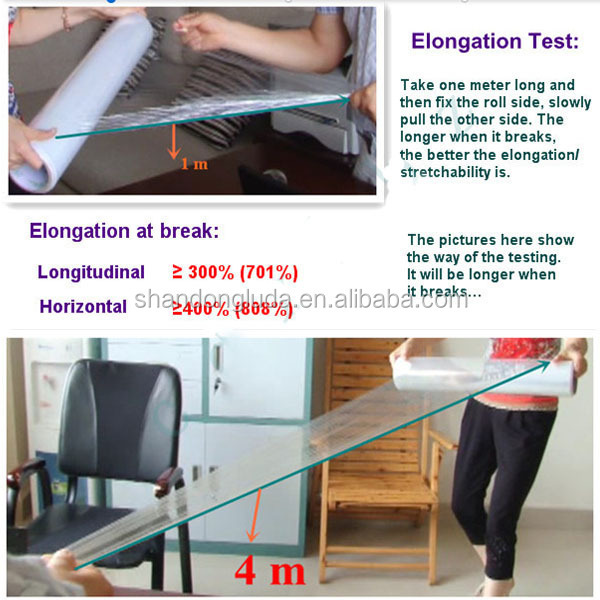 3, Q: How about the adhesive of the stretch film? A: It is self adhesive stretch film. 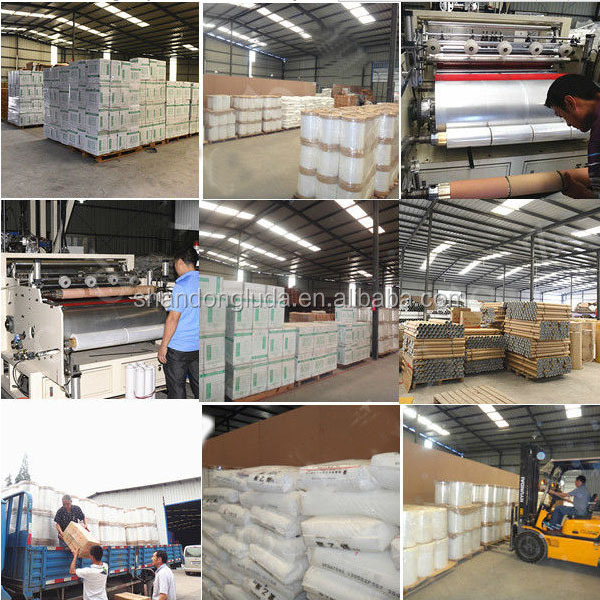 We can produce one side and two sides adhesive but usually one side adhesive. Besides, the stickiness can be controlled as customized. 4, Q: How many layers of the stretch film can your equipment make? A: Our equipment can produce 1/2/3 layers stretch film. 5, Q: Do you accept OEM? A: Yes, we provide free sample, only need you to pay the courier charge. We will make the sample within 3 working days and it will take 3-7days on the transportation. 7, Q: What’s your delivery time? A: We are factory, so we can efficiently control the production time, and then for the delivery time, it is 5-20 working days. 8, Q: How can we know whether the quality is good or not? 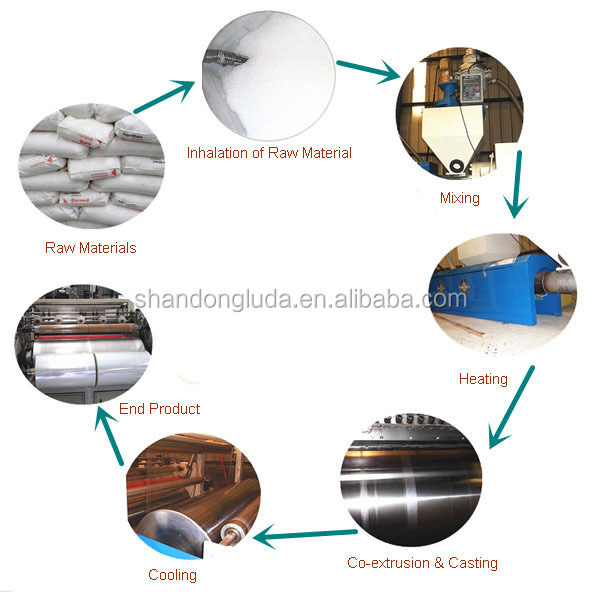 A: First, we produce with advanced equipment and 100% new raw materials in the production method of co-extrusion casting. 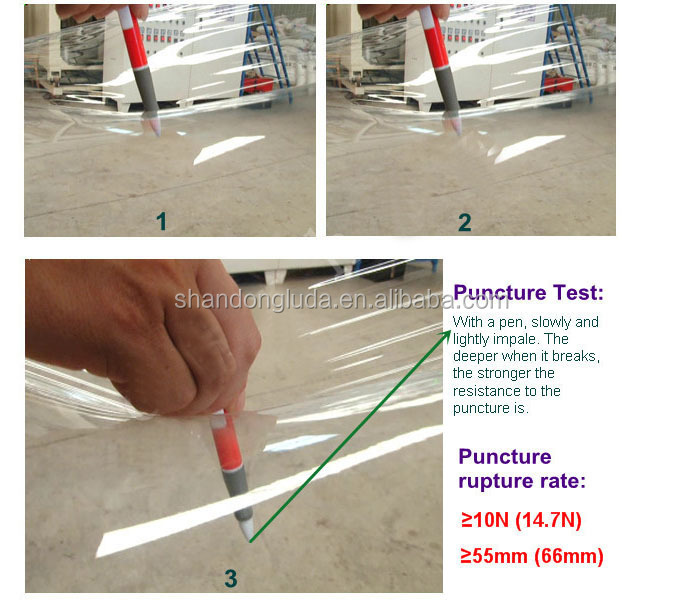 Second, you can simply test the most important features of stretch film elongation and the resistance to puncture like the testing methods mentioned above. 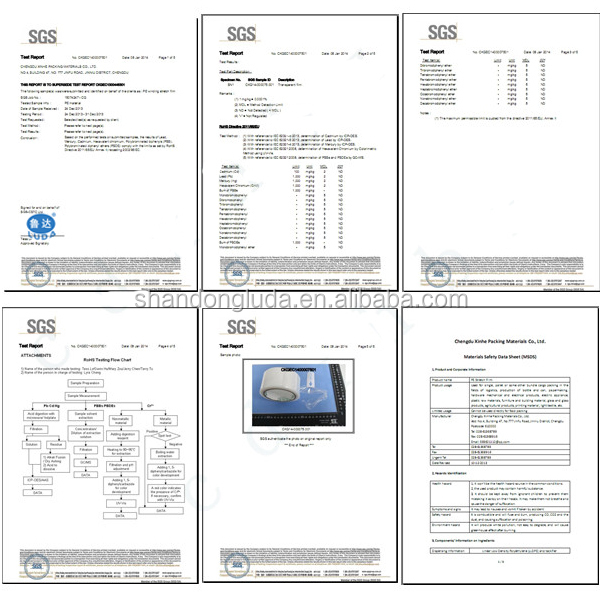 Third, we can send you free sample for testing. 9, Q: What’s your production capacity? A: At present, our production capacity is 100 metric tons per month. However, we are planning to open a new factory and add more production lines. 10, Q: Can you produce colored stretch film? 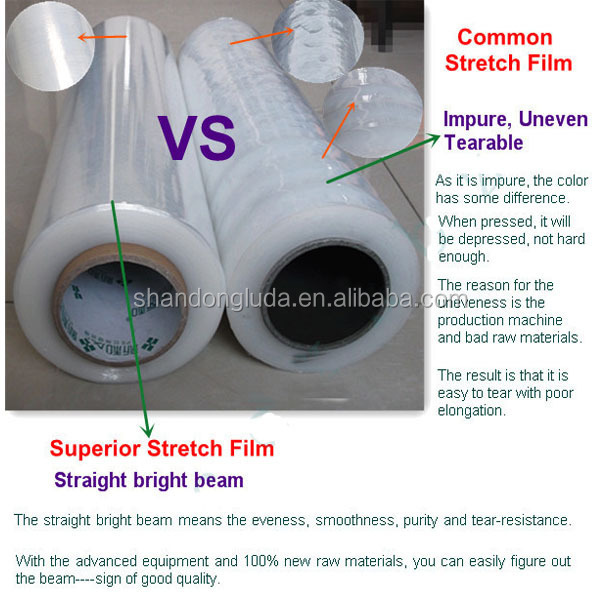 A: Except clear and transparent, we can make colored stretch film, such as black, white, blue, etc. But mostly we make clear and transparent. If the quantity is big, we will make color stretch film for you. 11, Q: What’s your payment term? A: We accept T/T, L/C, O/A, Western Union, Paypal, Escrow, or customized if it is acceptable. 12, Q: How do you transport the product? A: If not emergent, commonly we transport by ship as it is the cheapest way. But for the West Asia area, we deliver by train as there is no sea for shipping. 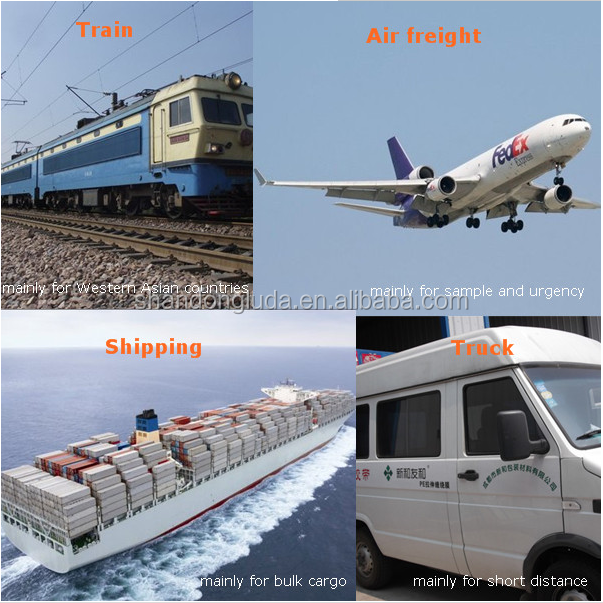 And for samples and emergent cargo, we send by courier as it is the fastest way. 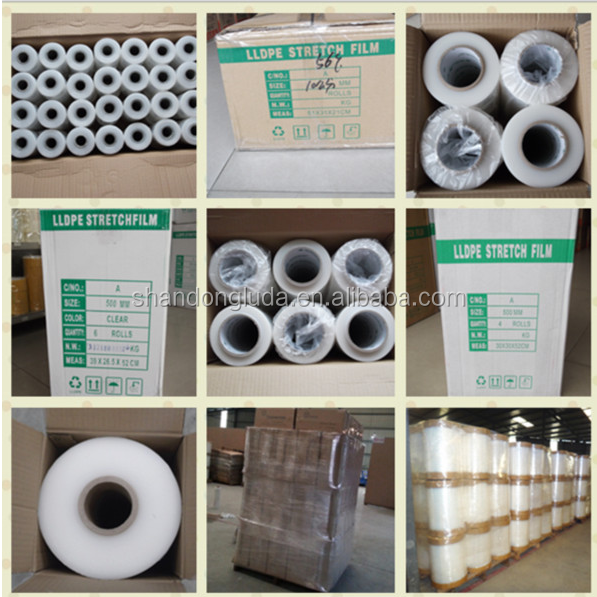 If you are interested in our LLDPE Clear Packing Wrap Cast Stretch Film, pls don't hesitate to contact us for more details.